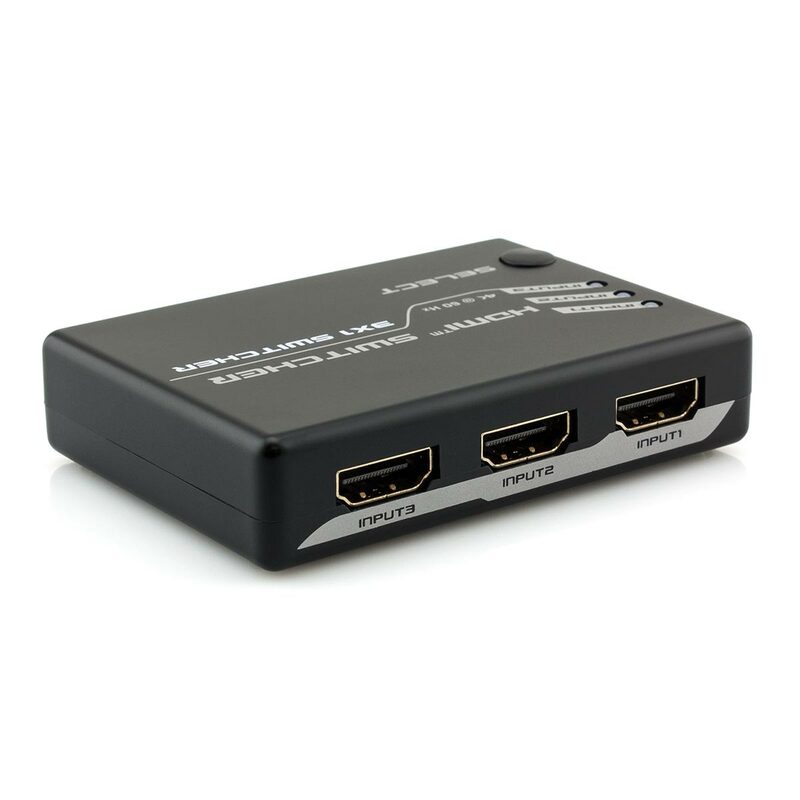 Expands a Single HDMI Input To Three! 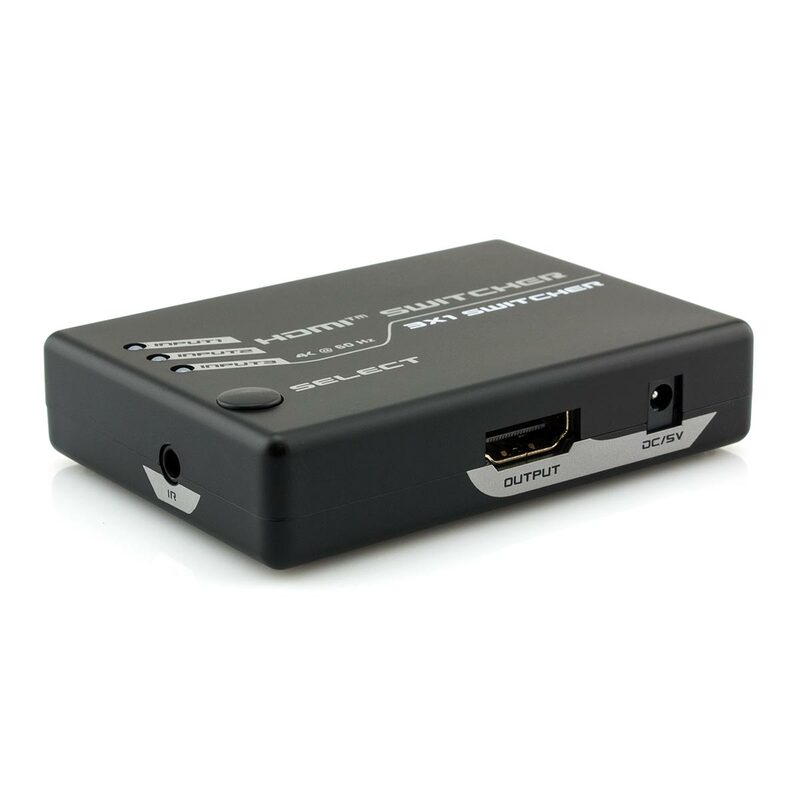 This 3 Port HDMI Switch will allow switching between 3 sources connected to a single HDMI input on your display. This is an ideal solution for scenarios where not enough HDMI connections are available. 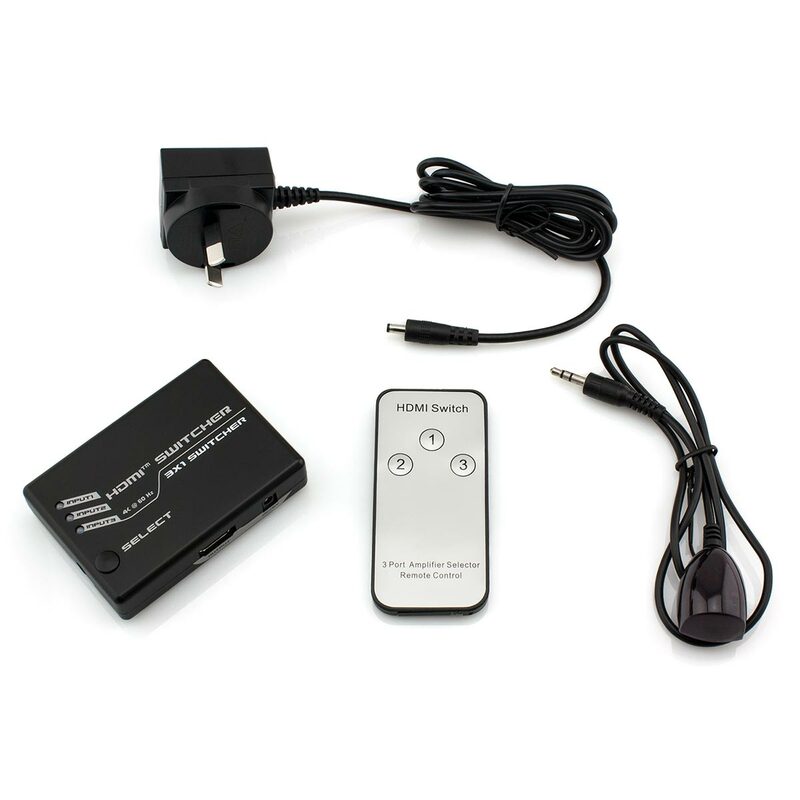 The included IR extender also allows this device to be placed in a discreet location while still allowing convenient selection of the desired source device with the remote control. This will ensure that a clean finish can be maintained. 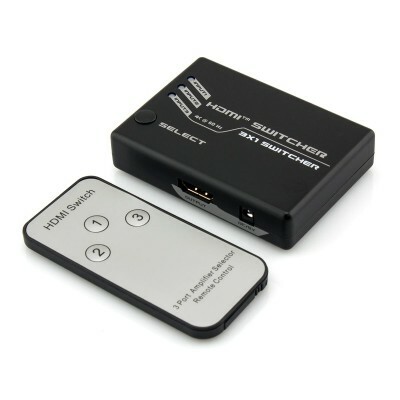 This HDMI Switch offers exceptional performance with an integrated signal amplifier. This will ensure optimum signal strength for resolutions up to 4K Ultra HD at 60Hz. This unit also supports HDR (High Dynamic Range), 4:4:4 chroma subsampling, HD audio formats and more. Supported audio formats include LPCM, Dolby TrueHD, DTS-HD Master Audio, Dolby Digital and DTS etc.